The International Brain Bee (IBB) is a non-profit educational organization incorporated in the U.S. The formal establishment of the IBB was made possible through a partnership between the Brain Bee Founder and five founding partner organizations: the American Psychological Association (APA), the Dana Foundation, the Federation of European Neuroscience Societies (FENS), the International Brain Research Organization (IBRO) and the Society for Neuroscience (SfN). Each of the founding partners has committed seed funding for three years to support the successful implementation of this organizational structure and to facilitate the development of a long-term sustainability plan. Over the past 20 years, the Brain Bee has grown from a grassroots effort to a successful global educational and outreach initiative. Almost entirely run by volunteers, there are currently approximately 175 local competitions in more than 50 countries, engaging over 50,000 students across six continents every year. The culmination of this program is the international competition held every year in conjunction with major scientific conferences, providing an enriching experience for the participants and those who witness the event. As the number and success of the Brain Bees around the world have grown, so has the challenge of coordination between the local, national and international activities. To ensure the further development of the Brain Bee and its continued success as a connected global initiative, the IBB is now seeking to hire its first permanent Executive Director. The IBB Board has appointed a Search Committee to identify and recommend a candidate. The Executive Director will serve as the chief staff executive of the International Brain Bee (IBB).The Executive Director reports directly to the Board of Directors and will implement the IBB mission of inspiring and motivating young students to learn more about neuroscience, neurology, psychology, and other brain related professions, and any other related charitable and educational programs and activities, in accordance with the strategic direction and policies established by the IBB Board. Key Job Functions are listed below. A full position description is available upon request. Manage the planning, implementation and evaluation of the annual International Brain Bee competition and other Brain Bee activities. Monitor the day-to-day delivery of the programs of the IBB to maintain or improve quality. Proactively develop plans that ensure the IBB is able to continue fulfilling its mission in the future. Collaborate with the Board in creating a vision and strategic plan to guide the IBB into the future. Act as a spokesperson for the organization, in consultation with the Chair of the IBB Board. Advise and report to the Board on all aspects of IBB activities. Positively represent the IBB to organizations and the public at relevant events and through all communications. Prepare and recommend an annual budget for Board approval. Develop, implement and maintain sound financial policies, procedures and practices for the IBB. Develop, recommend and carry out fundraising strategies to support the IBB’s mission. Establish operations at the IBB that meet the expectations of all stakeholders. Serve as the primary point of contact for Brain Bee coordinators. Provide staff support as appropriate for committees and working groups appointed by the Board. Demonstrated commitment to science outreach and education. 8-10 years of experience in a senior management position, preferably in a non-profit setting. General familiarity with neuroscience as a discipline. Bachelor’s degree required; Master’s or other advanced degree preferred. Very detail-oriented, with the ability and willingness to be hands-on in a small-staff setting. Demonstrated prior success at fundraising in a not-for-profit environment. Experience interacting with a nonprofit or public board of directors preferred. Excellent written and oral communication skills in English, and strong public-speaking ability. Outstanding interpersonal and diplomatic skills. Ability to convey a vision of the IBB’s mission and strategy to staff, Board, volunteers, donors, partners and other stakeholders. Ability to elicit and sustain commitment from volunteers around the world in support of the IBB’s global mission. Marty Saggese, Interim Executive Director, IBB; at: msaggese-eicsearch@sfn.org. All applications will be reviewed by the Search Committee. Interviews of shortlisted candidates will take place by Skype in April 2018. Any questions may be directed to Marty Saggese at the above email address. Foi prorrogado para 2 de março de 2018 o prazo de envio de propostas de atividades para a XLI Reunião Anual da SBNeC. Lembrando que o deadline para envio de propostas de atividades é 23/02/2018, não deixe para última hora! Roberto Lent Holds a degree in Medicine from the Federal University of Rio de Janeiro (1972), a master’s degree in Biological Sciences (Biophysics) from the Federal University of Rio de Janeiro (1973), a PhD in Biological Sciences (Biophysics) from the Federal University of Rio de Janeiro (1978), and post doctorate at the Massachusetts Institute of Technology (1979-82). 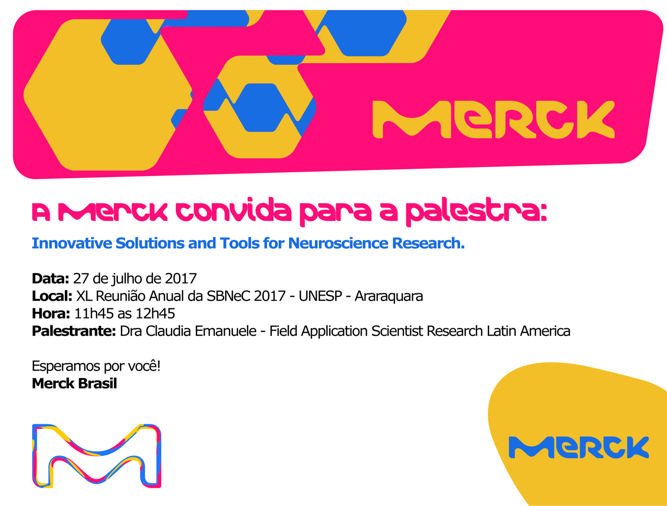 Full Professor at the Federal University of Rio de Janeiro and former director of the Institute of Biomedical Sciences (2007-2014). Full member of the Brazilian Academy of Sciences, president of the Deliberative Council of the Instituto Ciência Hoje and Coordinator of the National Network of Science for Education. Head of the Laboratory of Neuroplasticity of the Institute of Biomedical Sciences. Works in the Morphology area, with emphasis on Neuroembriology, and develops as lines of research: development and plasticity of the cortex and cerebral commissures, quantification of brain structures of different species, and studies of the human cerebral cortex. Also works in Scientific divulgation for adults and children, with published books for both. Regina M. Sullivan is a Developmental Behavioral Neuroscientist researching the neurobiology of infant attachment to the caregiver to determine the neural mechanisms for the enduring mental health effects of abuse and trauma in early life. 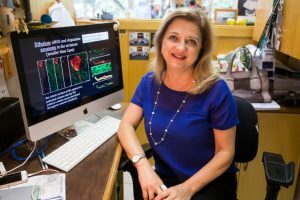 Her research has highlighted how the infant brain functions differently from the adult brain, as well as the critical role of the caregiver in modifying how the young brain responds to trauma. She received her doctoral training was with The City University of New York and post-doctoral training at Duke University and The University of California. Dr. Sullivan innovative research has been continuously funded by the National Institute of Health for over two decades, and also supported by numerous foundations and other granting agencies. She also has notable service to other foundation and institutes including Sackler Developmental Psychobiology, The Child Mind Foundation, The Early Experience, Stress & Neurobehavioral Develop Center, and Center for Brain, Gene & Behavioral Research Across Development. She has served as President for The International Society for Developmental Psychobiology and The Society for Neuroscience. Richard E. Tremblay is Emeritus professor of Pediatrics/Psychiatry/Psychology at the University of Montreal, and professor of child development at University College Dublin. Since the early 1980s he has been conducting a program of longitudinal and experimental studies, focusing on the physical, cognitive, emotional, and social development of children from conception onward to understand the development of psychosocial adjustment problems and their prevention. Director of the Centre of Excellence for Early Child Development, he is coordinator of the Marie Curie International Network on Early Childhood Health Development and a Fellow of the Royal Society of Canada. Professor Tremblay has published close to 400 scientific articles, and 80 book chapters. With the Montreal Longitudinal-Experimental Study he and his colleagues have shown that intensive interventions at school entry can change the long-term behavior trajectories of aggressive-hyperactive kindergarten boys. His recent work, showing that humans initiate the use of physical aggression during infancy, has led him to experiment with prevention programs for pregnant women at risk of failing to provide the environment needed for a child to learn alternatives to physical aggression. This event will present a unique opportunity for 100 selected undergraduate and postgraduate students as well as early career researchers (at Post-doc level) from all over the world to be part of 10 knowledge-enriching days of theoretical and practical learning. The aim is to deepen the understanding of social and affective neuroscience and learn more about how the current state of research can explain phenomena we experience in our daily lives as social beings. Please refer to the ‘Selection Criteria’ section if you are interested in participating to check for eligibility. Information on how to apply can be found under ‘Application’. The SPSAN will entail courses, talks, and hands-on activities delivered by national and international leading researchers from the field of Social and Affective Neuroscience, who will apply their expertise to explain aspects of social interaction from our daily life. Additionally, the attendees will conduct a small-scale study and present their projects in a poster sessions. More information on the scheduled activities can be found under ‘Programme’. 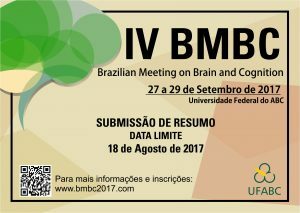 Com imenso prazer informamos que a partir do dia 19 de Dezembro de 2017, estarão abertas as inscrições de propostas para atividades na XLI REUNIÃO ANUAL DA SOCIEDADE BRASILEIRA DE NEUROCIÊNCIAS E COMPORTAMENTO, a ser realizada no período de 22 a 25 de Agosto de 2018 no Mendes Convention Center, Santos-SP. O prazo de envio será encerrado em 23/02/2018. 1. Os Simpósios, Módulos Temáticos e Conferências, além de possuírem alta qualificação científica, podem incluir palestrantes estrangeiros e devem abordar qualquer tema relevante das Neurociências. 2. As propostas de Mini-cursos não precisam incluir palestrantes estrangeiros. 3. Todas as atividades propostas serão selecionadas pelo Comitê Científico de modo a preservar, dentro do possível, a mais ampla representatividade temática e regional. 4. Os coordenadores de Simpósios, Módulos Temáticos, Conferências e Mini-cursos deverão necessariamente atuar também como palestrantes. Os apoios financeiros aos palestrantes das atividades aprovadas estarão condicionados à disponibilidade de recursos. 5. As propostas com previsão de apoio financeiro próprio poderão receber prioridade. Porém, esta condição não é obrigatória. Caberá ao Comitê Organizador buscar atender o maior número de pedidos qualificados. A AVALIAÇÃO E APROVAÇÃO DAS ATIVIDADES PROPOSTAS ESTARÃO CONDICIONADAS À QUITAÇÃO DA ANUIDADE 2018 DOS MEMBROS DA SBNeC ENVOLVIDOS NA PROPOSTA. 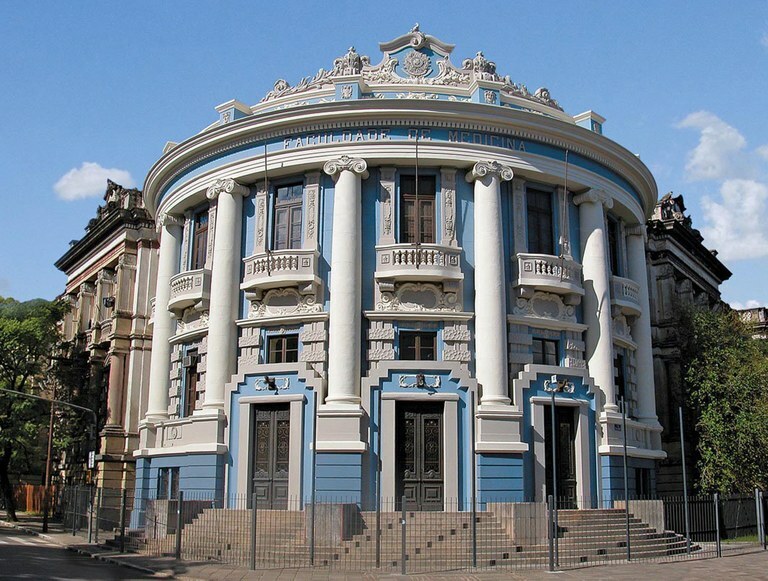 O Programa de Pós-Graduação em Neurociências da Universidade Federal do Rio Grande do Sul, UFRGS está abrindo inscrições ao processo de seleção e admissão de Doutor para o Programa Nacional de Pós-Doutorado (PNPD) MEC/CAPES. O Calendário do processo está detalhado a seguir. 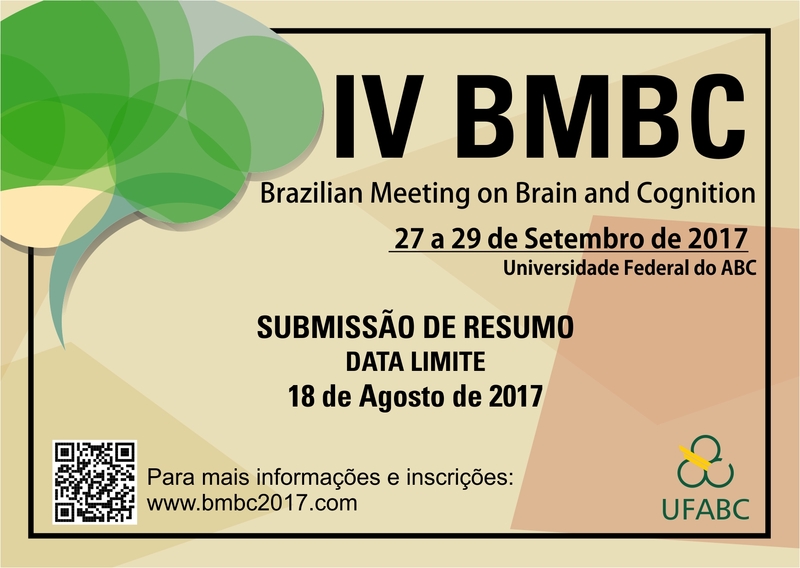 Estão abertas as inscrições ao 4a processo seletivo ao Doutorado 2017 do PPG Neurociências do ICBS / UFRGS. Informe-se e venha juntar-se a nós! O(A)s interessados em fazer a seleção para nosso Doutorado que não sejam egressos do nosso mestrado deverão agendar e realizar uma prova de qualificação elaborada pelo PPG Neurociências – no caso, uma aula a partir de um ponto sorteado previamente pelo(a) candidato(a) – sendo obrigatória a aprovação na mesma. 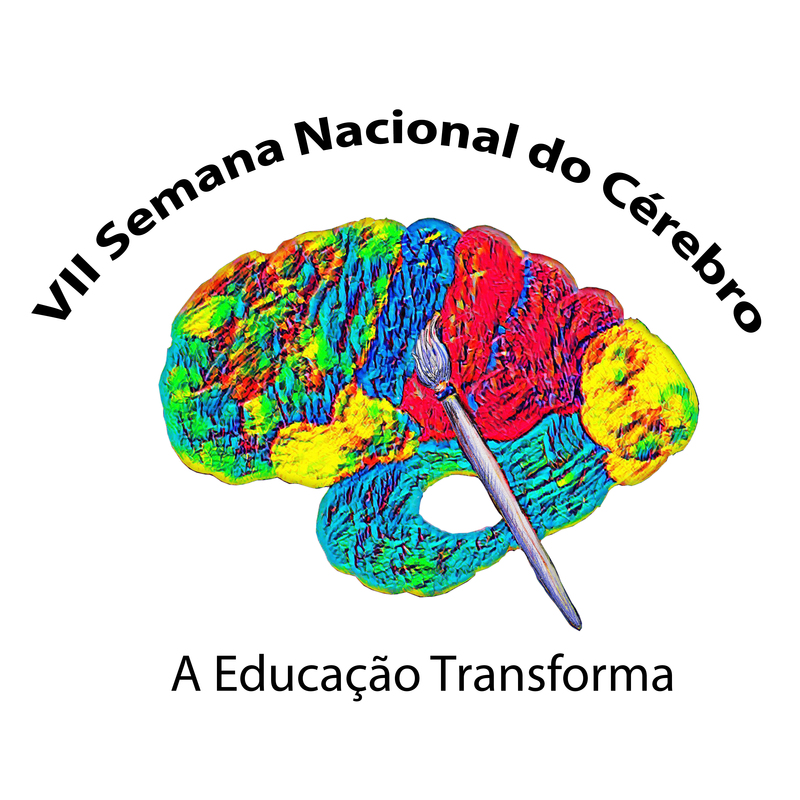 Estão abertas as inscrições ao IV Curso de Neuropsicobiologia do Desenvolvimento – edição 2017, que se realizará nos dias 21 e 28 de outubro deste ano em Porto Alegre, RS. 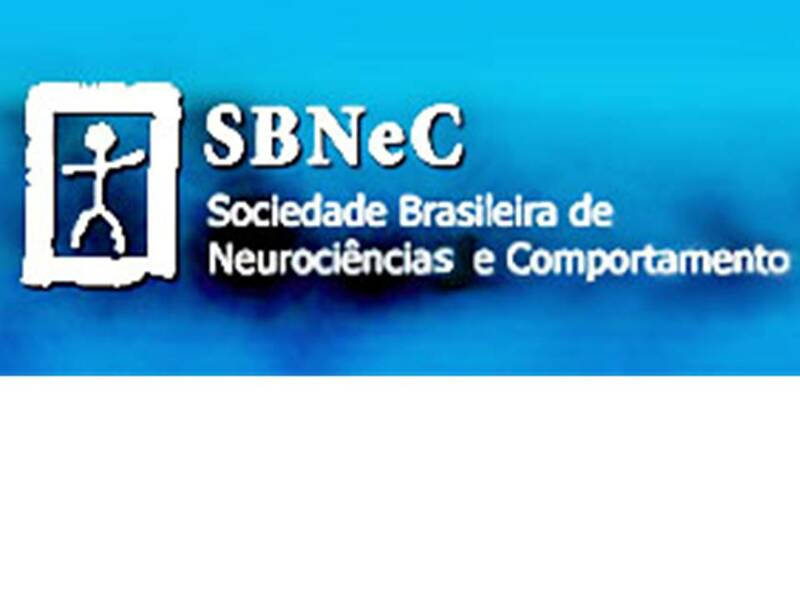 A inscrição é feita através do e-mail curso.neuropsicobiologia@gmail.com ou diretamente na secretaria do PPG em Neurociências do ICBS, UFRGS. FALAN will support two symposia to be held during the second half of 2017 or first half of 2018. Each symposium will be funded up to 3000 Dollars. FALAN-YI should be organized by a Young Investigator or Post Doc (less than 45 years old) who is in charge of selecting the topic and the speakers and their letters of acceptance. At least one of the speakers (no age restriction!!) must be a highly cited and international recognized scientist in the selected topic. She/He should have a relevant role and time as a speaker in the symposium. At least 2 other YI speakers must be from 2 different Latin-American countries working in the symposium subject. It will be a plus if the symposium is part of a more extensive neuroscience activity like a Society meeting, course, a school or workshop. Title and rationale of the proposed symposium. Speakers. Name, position, address, and tentative titles. Osvaldo D. Uchitel, MD. PhD. CONFIRA A DATA E HORÁRIO DA APRESENTAÇÃO DO SEU TRABALHO NA XL REUNIÃO ANUAL DA SBNeC. 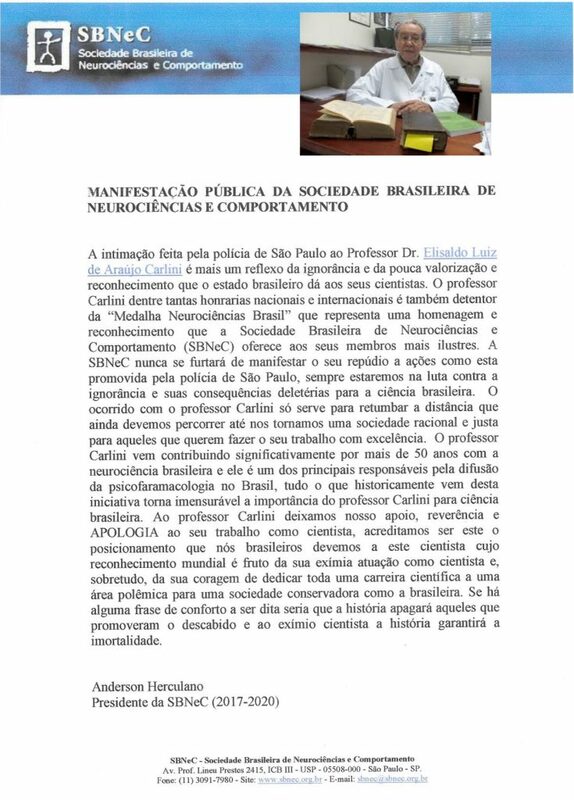 Para você que teve seu trabalho aceito para apresentação na forma de pôster na XL Reunião Anual da SBNeC, confira em sua área reservada a data e horário da sua apresentação . Acesse o link http://sigeventos.com.br/sbnec2017/sis/inscricao/index.asp e insira seu e-mail e senha. Em seguida clique em “Avaliação e em seguida Ver parecer”, lá estará o dia e horário de sua apresentação. 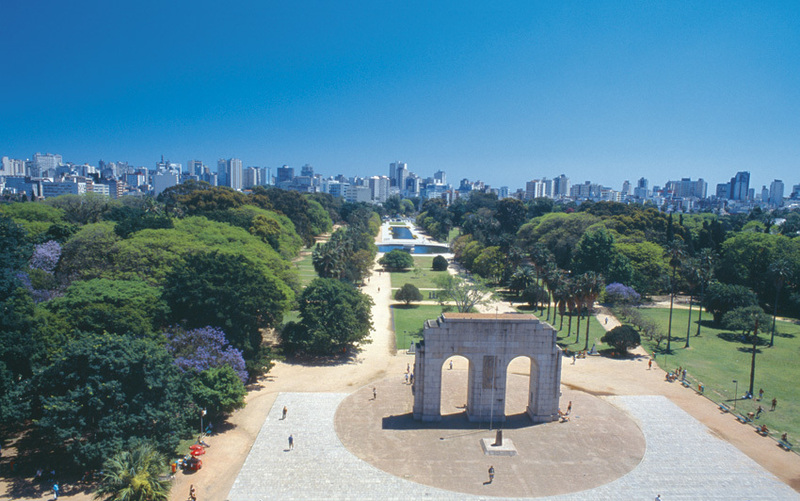 Aproveitamos esta oportunidade para informar que a SBNeC está organizando um sistema de transporte HOTEL-UNESP-HOTEL para os congressistas. Assim, pedimos aos inscritos no congresso que acessem a página do evento e em sua área reservada (Menu Hospedagem) indiquem o nome do hotel em que foi feita sua reserva. Pedimos que cada congressista nos envie esta informação até 12 de Julho (Quarta-feira) para que possamos oferecer um serviço com máxima eficiência aos nossos associados. O processo eleitoral será realizado na Assembleia Geral que ocorrerá no dia 27 de julho de 2017 das 19:30 às 21:00 h na XL Reunião Anual da SBNeC, no Campus da Universidade Estadual Paulista – UNESP, em Araraquara – SP.